Genetically Modified food for the layman: The GMO Debate for India | "Blogging by the Road not Taken"
Here is a topic I have never cared enough to research in my life. Putting my trust on the government to provide best for me, I have left these discussions to the experts like these guys on this NDTV debate. Not any more I said, as I finished watching that confusion among the participants. So I decided to dig deeper like most Indians by finding a more global debate on Genetically Modified Organisms or GMO. The complexities of the GMO debate requires thorough understanding of the needs of the stakeholders. The stake holders in this debate revolve around the big GMO companies and the poor farmers. To establish a regular supply chain with farmers subscribing to these seeds, profitability for all stake holders is crucial. Unfortunately, in the real world, it is every man for himself. The plight of the poor farmers needs better understanding. The changing dynamics of using GMO has motivated many Indian farmers to shift to cash crop cultivation. Only problem with cash crops cultivation is that it all draws down to the future price of your harvest. If you are not the only one with the jackpot idea, you will be forced to sell cheap. Many farmers hope to make big profits in an unpredictable market which requires a higher fixed cost for purchase of seeds. Reuse of seeds is unfortunately not possible with GMO. Many get caught in the rat race and do what everyone else around is doing. Ignoring cultivation of basic essential food in an organic environment can prove to be a big error. Indian farmers are prone to take high risks relying a lot on yearly rains. Due to lack of proper guidance and assistance, many farmers ignore a risk free approach to farming. Holding smaller lands and urgently requiring funds for social obligations, the farmer becomes a risk taker. My grand parents are farmers and I am a stock Investor. They advice me to work hard. My only farming advice to them is to diversify. Growing organic can actually lead to better sales in todays Bio age. Unfortunately, when the farmer suffers due to improper planning, the instant blame goes to the big GMO corporations. GMO companies should invest more in maintaining a sustainable business. As a former sales executive, I have always profited from speaking more with my customers and clients. Understanding the problems with farmers adapting to GMO and encouraging a product mix of both GM and Organic crops is beneficial and sustainable. It also provides the Indian consumer with a choice in purchasing both cheaper GMO food and expensive Organic food. Looking at each GMO on a case by case basis is important. The government should also ensure an optimal mix of agricultural output by boosting logistics and irrigation in an efficient manner. Enabling the use of technology to map farming activity and providing real time data would help keep track on what farm output to expect and when to expect it, enabling a better forecast of prices. While the monopoly of seeds in developing countries is not encouraged, discouraging GMO in India will have adverse effects. Before we jump in on conclusions let us examine the Pros & Cons researched upon on this eluding never ending debate that grapples nations around the world, to bring in some expert layman conclusions. What are the Pros & Cons of GMO in India? Firstly, GMO food can have better quality and taste. Secondly, Yields can increase with modified seeds spared from pests. Great insect control and lower risk of crop failure. Produce that is less susceptible to rot during storage. Longer shelf life is crucial in Indian agriculture where lots of produce is unnecessarily lost every year. Possibilities of increasing nutrition content in food corps. i.e Golden Rice which contains extra Vitamin A that could help save many from developing countries from vitamin deficiency diseases. Environmental protection: No need of spraying pesticides and chemical fertilizers. The foreign component in GMO farming is constrained only to the crop in the field. Finally, you can also grow non food products like 40% faster growing Eucalyptus trees. While keeping pests away, you are reducing the food content of many organisms active in pollination. As the Bees die, you can end up destroying a wider ecosystem. Allergic reactions. In case you are allergic to corn and eat rice made with some corn components? Decreased antibiotic efficacy. While consuming GMO you also consume some antibiotic features which can reduce the efficacy of antibiotic medication of your body. To conclude from the above points, use of GMO in a country like India can help provide minimum nutrition to our masses, while boosting the entire agriculture industry with increased investments from big players. The consumers in India are informed of the risks. They would also be provided with the alternative higher priced organic product grown by small farmers. Growing an organic alternative will not only sustain own family, but also add value in the market full of GMO. Organic crops can always be marketed as natural and free from genetic modification. Though a steam engine was never an environmental friendly invention, it evolved in to electric trains. Today they can run entirely on solar and wind energy. I believe that Genetically Modified Organisms needs further research and attention. Regulated usage would ensure basic food availability across India. Regulation can encompass some of the government’s responsibilities by encouraging CSR. GMO companies should work along with the farmers for a common goal of boosting local agriculture and environment. Moreover, agriculture is a great flexible business that can promote tourism and education. 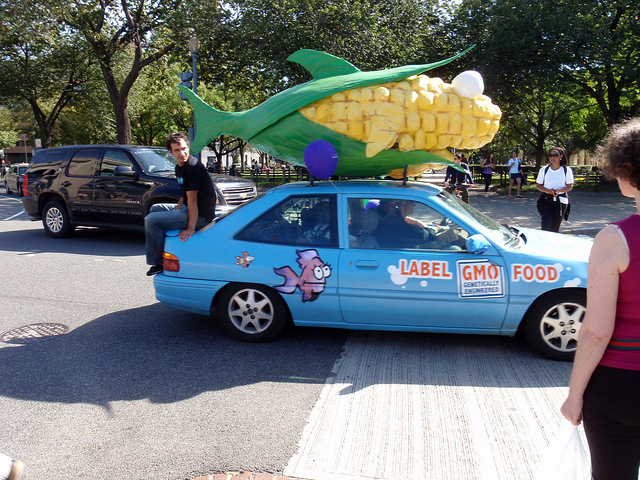 GMO companies need to be encouraged to build long term commitments with their consumers. If they wish to profit, it has to be sustainable. Since traces of GMO may remain in the soil, a big seed company should be monitored for environmental accountability. A truly sustainable method would ensure efficient monitoring of crops, consumers and environment. Let us look at the GMO debate as a glass half full of water and half full of air.